Sweet Crepes are a cinch. But Savory Crepes – your opinion, please? Oh me..I would say from personal pref. it would be 1st the Baby spinach w/roastd tomato etc. for breakfast…I find I would like the ham/swiss/light dijon for a brunch. BUT the asparagus/ricotta/mushroom/marsala sounds awesome to me TOO! I love marsala! The grilled vege one could be a side for supper for me! Ham and swiss with a light dijon! 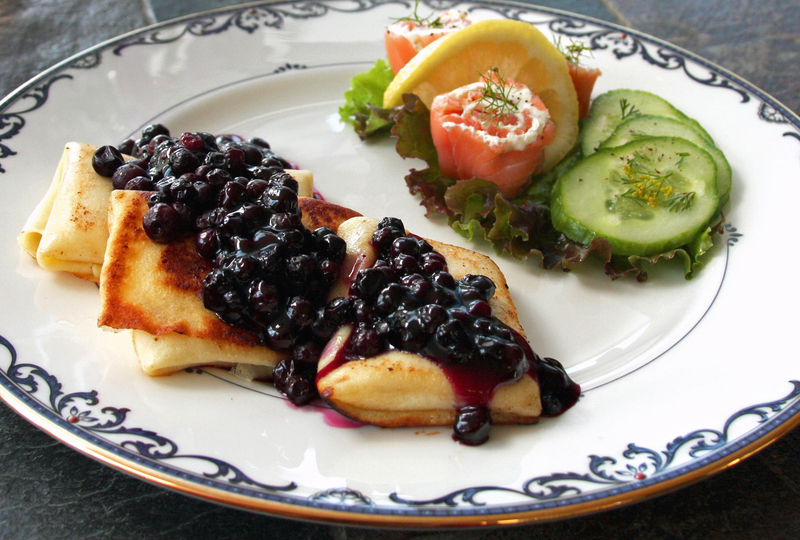 But I also love the blueberry crepes in your picture. Yum! They all sound good to me, creative and nice combinations. The marsala was my pick. I also love incorporating lots of fresh herbs for a punch.